Spanning a patch of uneven ground of 90 by 150 metres is this columnless, translucent canopy housing an artificial ‘jungle’. Inside, the building’s presence is scarcely felt. Outside, it is dominated by the spectacular suspension structure of truss girders spanned between towers. The roof consists of transparent air cushions of three by six metres. 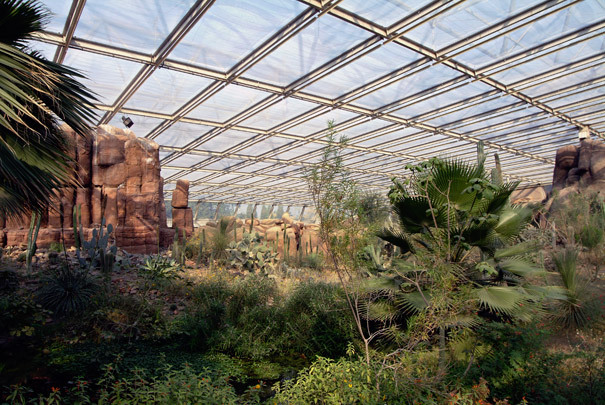 In 1994 it was joined by a second hall of 90 x 85 metres containing a desert landscape.